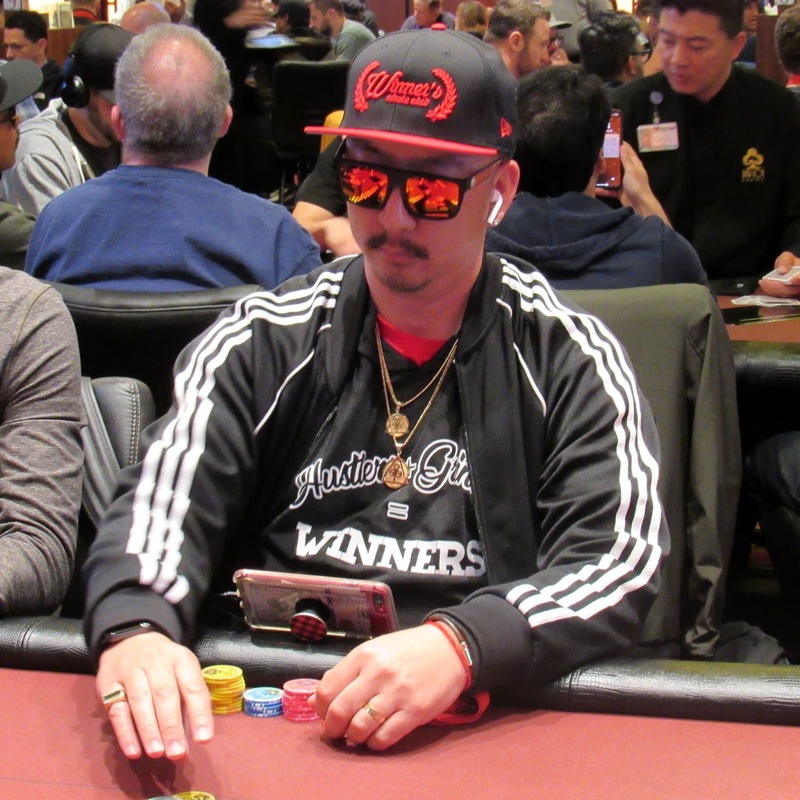 Shooting Star Joe Nguyen (pictured) is all in preflop for 103,000 on the big blind, and both Francis Pezzullo (under the gun) and Ari Shin (UTG+1) have him covered. Pezzullo is all against Shin in the side pot so all three players flip over their cards. Nguyen triples up to survive with 324,000, and Pezzullo is eliminated on the hand. Shin is at 390,000 after taking the side pot.